Through cooperation with Shenyang University, the new football park is one of the ventures in which Li has been involved since he parted ways with the Chinese football behemoth Guangzhou Evergrande in June of last year to serve as Vice President for CFFC Hebei. 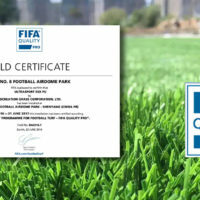 With the park now complete, the main 11-a-side pitch was on 23 June certified by football’s governing body, FIFA, according to the “FIFA Quality Programme for Football Turf – FIFA Quality Pro”, that is the top certification available from the body, and reserved for pitches intended for professional players. 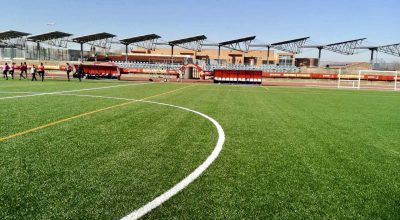 In order to qualify for the FIFA award, a field must undergo a series of tests, first in a laboratory under resilience, wear and performance criteria. Then, the installation itself is tested with an emphasis on player/surface and ball/surface interaction along with product identification tests. 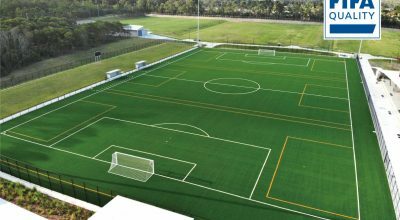 The CCGrass product Ultrasport 50X PU was chosen for the installation, it being a most durable product with 16000 Dtex duotone monofilaments. The yarn successfully combines softness and durability. Simulations prove that Ultrasport™ remains complete after 50,000 cycles of the Lisport rolling test. Find out more about Ultrasport 50X PU here:- https://www.ccgrass.com/index.php/en/products/sports-grass/for-football. Prior to being assistant coach for the Guangzhou team, Li Tei’s career highlights include spells at both Everton and Sheffield United, as well as closer to home with Chengdu Tiancheng F.C. and the Chinese national team.